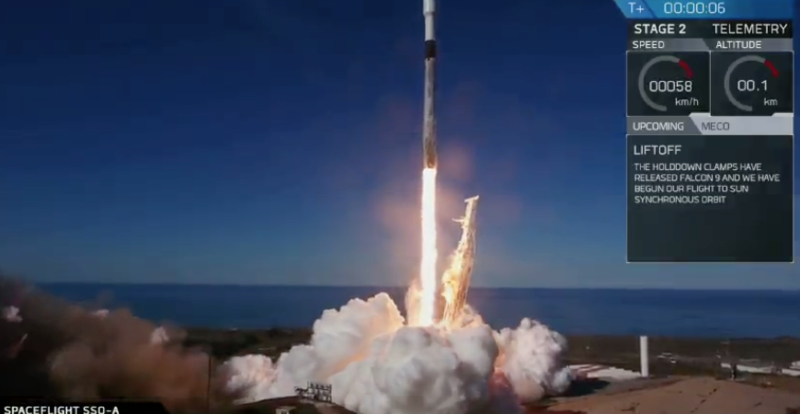 Today's successful launch, from Space Launch Complex 4E (SLC-4E) at Vandenberg Air Force Base in California, of SpaceX's SmallSat mission was the first of its kind in the U.S. as the largest single rideshare mission from a U.S.-based launch vehicle carrying 64 smallsats from 17 countries. With a launch requiring 300,000 lbs of thrust the Falcon 9 soared and separated its payload according to schedule and then the 'cherry on top' of the launch was that this Falcon 9's first stage returned and landed perfectly on the 'Just Read the Instructions' drone ship in the Pacific Ocean, making this the third successful return for this Falcon 9, which until now, no SpaceX rocket has yet flown more than two missions. 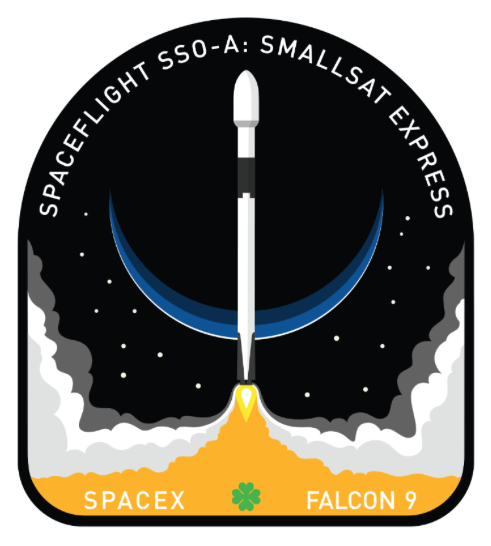 The original launch date was supposed to have been on November 19, but SpaceX delayed the SmallSat Express mission to conduct additional tests. Since then inclimate weather caused subsequent delays. Falcon 9 first stage has landed on the Just Read the Instructions droneship—completing this rocket booster’s third launch and landing this year. A series of six deployments occurred approximately 13-43 minutes after liftoff, after which Spaceflight began to command its own deployment sequences. Spaceflight’s deployments are expected to occur over a period of six hours. The mission includes 15 microsats and 49 cubesats from commercial and government entities, such as universities, startups, and even a middle school. The payloads, which vary from technology demonstrations and imaging satellites to educational research endeavors, are from 17 countries, including the U.S., Australia, Italy, Netherlands, Finland, South Korea, Spain, Switzerland, U.K., Germany, Jordan, Kazakhstan, Thailand, Poland, Canada, Brazil, and India. Some of those smaller satellites aim to build an internet network capable of supporting smart devices back on Earth's surface. Nearly all of the satellites on SpaceX's payload aim to prove that a combination of smaller, simpler and cheaper satellites can perform the same complex functions as much larger, more expensive satellites. Spaceflight also constructed a unique payload stack, which is one of the most complex and intricate endeavors that Spaceflight has undertaken. The smallsats will be integrated with a variety of dispensers and avionics to an upper free flyer and lower free flyer.